Do you want to analyze your organ pieces but don't know the foundations of three, four, and five-note chords and their inversions? 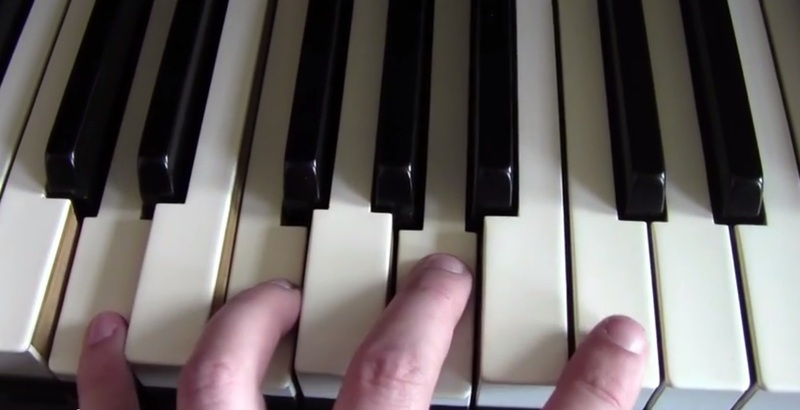 Are you struggling in understanding the complex chords and how their are put together? Do you wish you could harmonize hymns and improvise on the organ but currently these skills seem like too advanced to even begin to learn it? If this is the case with you, then you first have to learn the basics of chords and their inversions. Not how they are constructed in four-part (SATB) harmony with the treble and the bass clefs, but using the treble clef only. Well, I finally created a very concise and practical video course for anyone who would like to learn the basics of chords in major and minor in order to help them understand how to build them, how to resolve them, how to practice them, and how to master them. In each video, you will see my hands on the keyboard where I will play the chords and their resolutions and spell each chord and the intervals that this chord consists of. I will also name the scale degrees of each chord so that later you could simply transpose them to various keys. I believe that if you will watch each video and follow my steps and learning procedures that I recommend, then this course will open the entire universe of tonal harmony for you. In other words, when you master these chords, you will be ready to dive into the rules of four-part harmony and harmonization of your favorite hymns and other melodies. Moreover, the knowledge of these chords and their inversions will empower you to see them in the organ pieces that you play. This is truly powerful. This is because when you know what kind of chord is in any given measure of your piece, you will then appreciate it on a much deeper level. You will begin to think like a composer who created your piece (and yes, for some people will arise even the desire to create their own music - either in the form of composition or improvisation or both). 7 special bonus trainings of Dominant, Subdominant, Diminished, Augmented, and Dominant seventh chords and their inversions with resolutions in all keys. ​All the videos can be played at half speed for further clarity.